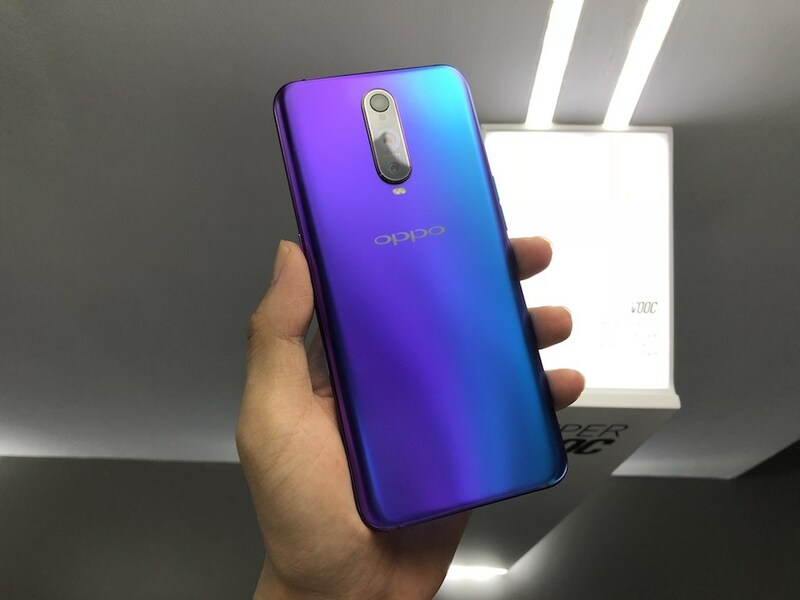 PAT PILCHER checks out Oppo’s latest flagship smartphone offering and discovers it comes with plenty of extras. Oppo is making its presence felt in the New Zealand smartphone market. Having launched the innovative Find X, they’re living proof that a rolling stone gathers no moss, especially when they’ve also just launched the R17 Pro. It’s an innovative phone that comes with two batteries, three cameras, an under-screen fingerprint sensor, oodles of camera tricks and a peeper pleasing design. Like most 2018 smartphones, the R17 Pro sticks to the tried and tested combo of metal and glass. 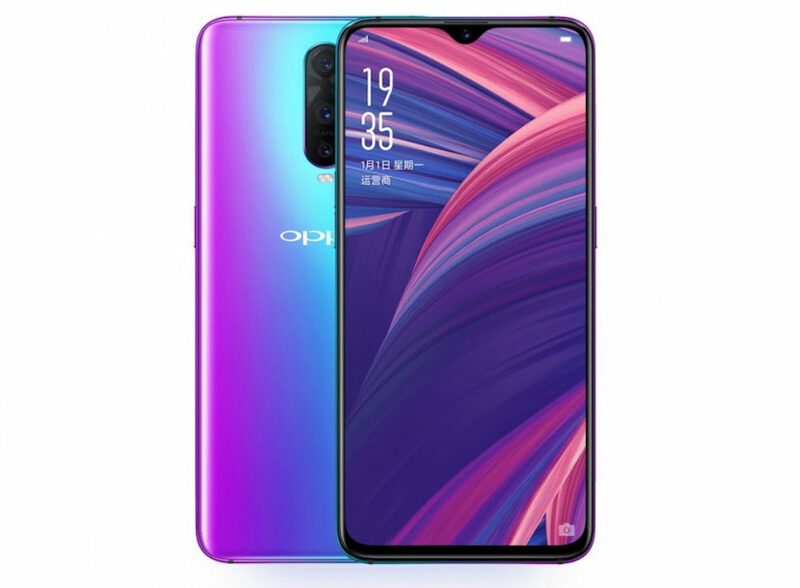 Oppo have added extra excitement thanks to an eye catching design. It isn’t ground breaking, but it makes good use of tapered edges and rounded corners to maximise hand comfort. The metal and glass chassis lends it a premium feel. The first thing you notice with the R17’s design is its eye-catching fog gradient colour scheme. It seamlessly flows from pink to blue (or you can also get emerald green). Looks wise, its similar to Huawei’s P20 Pro. The rear panel has a satin appearance, which helps hide fingerprints. There’s no obvious fingerprint sensor. It sits underneath the display. It feels very gee-wiz to use but does feel slower than the old-school dedicated scanners used on most other phones. That said, the sensor can unlock the R17 Pro in under half a second. Sometimes however, when my fingers were wet from doing dishes, it struggled but it wasn’t a huge issue as the speedy and accurate face recognition unlock stepped in. The R17 Pro sets a new benchmark for displays thanks to wafer thin bezels and a teensy-weensy drop shaped notch. All this equates to a 91.5 percent screen-to-body ratio. The screen is large (6.4”) and is AMOLED. It sports a 19.5:9 aspect ratio with an HD (2,340 x 1,080) resolution. Colours really pop and look contrast-y thanks to deep dark blacks and tanning clinic level whites. 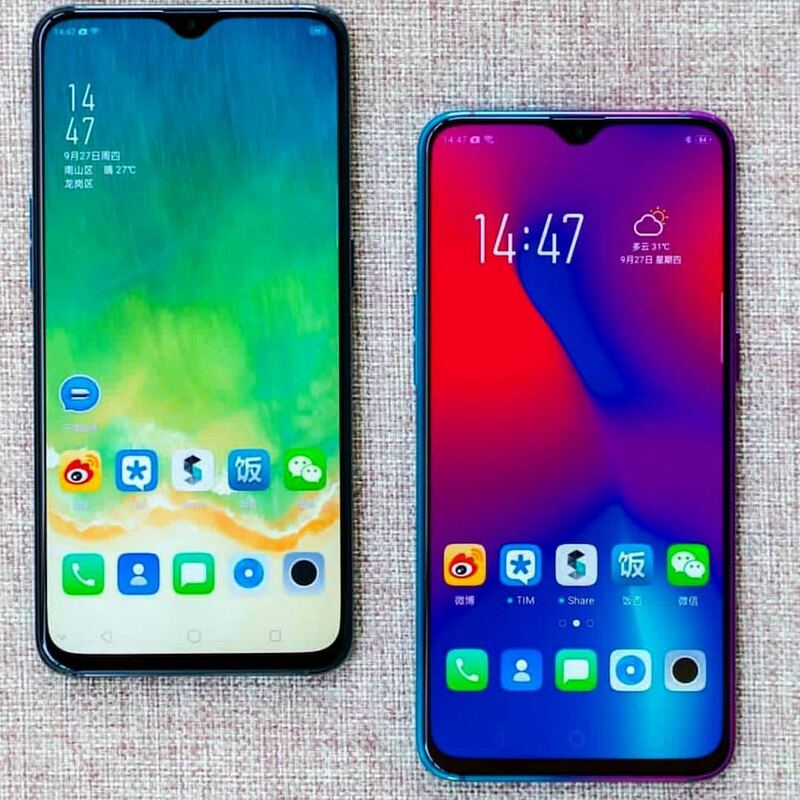 The drop-shaped notch is a big improvement over the distracting and comparatively large notches found on most other phones. This minute-sized version is possible because there is only the front facing camera. Proximity and light sensors are tucked away beneath the display. The top bezel also has a tiny gap which houses the ear piece. It’s an ingenious design that other phone makers will likely emulate with future smartphones. Under the hood, there’s a Snapdragon 710 processor, 128GB of storage and two batteries that equate to 3,700mAh capacity. There is no microSD card slot, but the 128 gigabytes of storage more than compensates. While a Snapdragon 710 CPU is mid-range CPU, it provided more than enough oomph for gaming and other tasks. This was probably helped along by the 8GB of RAM which translated into smooth multitasking. While most reviews look at phone batteries purely in terms of their useful ‘on’ time, they’d be missing a treat with the R17 Pro, as it has two of them. The two 1,850mAh batteries translate into a 3,700mAh capacity. With two batteries, the R17 Pro can charge up significantly faster than its single battery-toting counterparts. The bundled charger zaps a whopping 50 watts of power into the two cells, allowing them to go from flat to 40 percent in 10 minutes and close to fully charged in just 30 minutes. On a full charge, the R17 Pro delivers a day of use. Thanks to Huawei, triple cameras on smartphones became a thing in 2018. Oppo followed, equipping the R17 Pro with three cameras. Its primary rear shooter packs a 12MP sensor with OIS and a variable aperture which goes from f/1.5 to f/2.4. 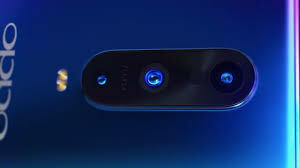 The secondary rear shooter sensor has a 20MP sensor with an f/2.6 aperture and is there to create bokeh for portrait mode and 3D portrait mode lighting effects. Like Apple it can apply a bunch of different lighting effects to portraits. The third camera is an odd beast that could prove fun. It’s a TOF (Time of Flight) 3D stereo camera. In non-geek speak, in theory you can scan objects by moving the R17 Pro’s camera around an object and create 3D models. I say in theory because the software needed isn’t yet on the R17 Pro and will be part of a future update. The front-facing camera uses an impressive 25MP sensor. Unlike a lot of front shooters which are little more than an afterthought, the R17 Pro produced good selfies. Its rear shooters get a helping hand thanks to bundled AI camera software. There’s a beauty mode for vanishing wrinkles, zits, eye bags and making ones mug look skinnier. I’m not a big on beauty modes, but on the R17 Pro at least it didn’t transform me into a Max Headroom look-alike. There’s also AI scene recognition for up to 23 different types environments. Using object recognition, the camera detects what you’re shooting and optimises settings and photos. The big selling point with the R17 Plus is what Oppo call Ultra-Night Mode. Where low light environments are typically the bete-noire of most smartphones, ultra-night mode helps the R17 Pro take decent night shots by improving shadow and highlight details, filtering pixel noise and making use of the variable aperture to produce a brighter, yet natural looking night photos. The R17 Pro uses an Android skin atop Oreo called ColorOS. It is an iOS lookalike, but can be themed to give it a less fruity feel. Taking a leaf from Samsung’s book, it also comes with a smart sidebar which is accessible by swiping in from the right-hand edge of the screen for a list of application and task short cuts. Annoyingly, accessing the Android assistant happens when you hold the power button down. With flagship phone prices heading into the stratosphere, it’s refreshing to see a phone that offers solid features whilst not requiring you sell your first born or a kidney to buy it. The R17 Pro scores thanks to its camera, under-screen fingerprint sensor and SuperVOOC Charging. Add to this an eye-catching design, and the R17 Pro is definitely a contender. Pat has been talking about tech on TV, radio and print for over 20 years, having served time as a TV tech guy and currently penning reviews for Stuff as well as Witchdoctor. He loves nothing more than rolling his sleeves up and playing with shiny gadgets.